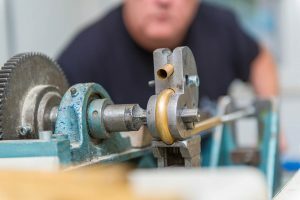 In making an instrument, choosing just the right raw materials is extremely important. We use only the highest quality materials, obtained from suppliers that have remained dependable over many years. 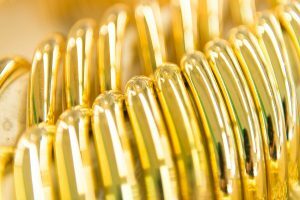 We work with three different alloys: yellow brass, gold brass and robust nickel silver, the latter mainly used for the stressed moving parts like slides, supports and reinforcements. If desired, it is possible to order instruments made completely from nickel silver. Constant rigorous monitoring througout the manufacturing process guarantees the accuracy of the dimensions of all tubing. The master craftsman selects the right materials for each production himself and checks the results after every step. Each individual part is processed many times by hand, gradually growing into an instrument of the highest order. This constant inspection means that every Alexander instrument that leaves our workshop has a triple guarantee of pure intonation, easy response and the very highest quality. As a rule, Alexander horns come equipped with tapered valves. They are extremely air-tight, work precisely and reliably, and have a long life if correctly used. Action is transmitted by extremely durable and easily maintained Minibal linkage. On request we can equip our valves with string action linkage, which is otherwise offered in only a few special instances. The cylindrical parts and the valves of Alexander horns have a diameter of 12.1 millimeters. This is the standard to which most of our instruments are built. Individual components of our instruments are calibrated with precision templates, and thus exact adherence to measurements is achieved. All of our instruments are delivered with a high gloss polish. 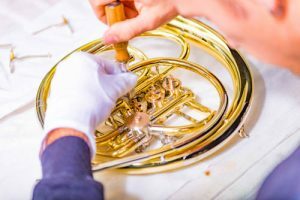 Additional lacquer, silver or gold plating protects the surface and preserves the brilliance of the instrument over time. The lacquer we employ is extremely durable and flexible. To achieve this durability in silver or gold plating, we cooperate with specialized subcontractors. 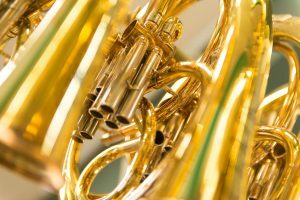 Alexander horns are supplied with standard tuning, that is, with a normal hand position an A vibrates at a frequency of 443 Hertz. Upon request, our instruments can be delivered in other tunings. All tuning and valve slides are designed to be easily pulled out to the desired length. This allows optimal flexibility of intonation. Our customers – whether they be amateurs or professionals – can be confident in the guidance of our highly skilled professionals. 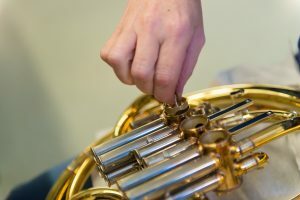 Our consultants are instrument makers themselves with many years of experience in the trade. Choosing a quality musical instrument requires careful consideration. 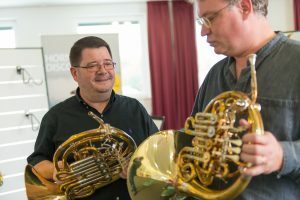 To this end, in addition to qualified advice, separate playing quarters are at your disposal so you can put your horn through its paces. 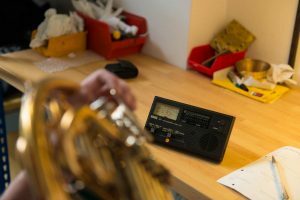 Here you can make an unhurried decision as to which Alexander instrument will best help you reach your own musical success.